Experience the full potential of FX investing with a Professionally managed, FCA regulated FX Managed account. Designed for investors seeking a competitive, highly regulated approach with proven track record and audited performance. Daily liquidity, full client control with access and reporting 24/7. The Proliquidity platform connects Asset Managers running a variety of managed algorithmic spot trading strategies, housed on state of the art trading infrastructure, to institutional level bespoke brokerage liquidity. Our structure delivers very efficient trading and order fill. The trading system is also linked to our back office reporting on all aspects of trading performance, allowing account holders full transparency and the ability to view account information in real time. ProLiquidity link to carefully selected Brokers, fully regulated in major jurisdictions, with fully segregated client money protection. ProLiquidity link regulated Asset Managers with a long and proven record of success in FX trading to clients accounts. ProLiquidity bring transparency and control to managed FX accounts with a range of tools to monitor and analyse performance. Proliquidity’s platform provides the opportunity for investors to participate in the Spot FX and other markets while maintaining full ownership and control over their funds, and the ability to monitor all trading. Funds are held in accounts opened directly by investors with a broker fully regulated by the UK FCA, or other major regulator. Full client money segregation and protections apply to clients accounts. Our platform provides access to Money Managers selected for their performance and successful long term track record. Money Managers are paid on performance, with a high water mark, meaning performance fees are only earned on new profit. This ensures that Money Managers interests are fully aligned with investors. ProLiquidity link to carefully selected Brokers, fully regulated in major jurisdictions, with fully segregated client money protection and in some cases Lloyd's of London full balance insurance is provided. ProLiquidity link only carefully selected, regulated Asset Managers with a long and proven record of success in FX trading. Historic audited performance is available for all in the client area of our website. 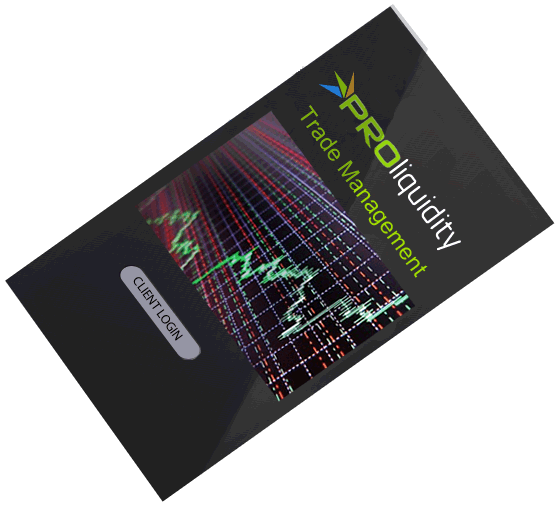 ProLiquidity brings transparency and control to managed FX. Our tools allow realtime monitoring of trading through the client area of our website, and also through our mobile phone apps. COMING SOON -> ProLiquidity is developing mobile phone applications to enable our clients to monitor the performance of their traded accounts 24/6. Our clear and easy to view apps will present a snapshot of key trading and performance information. But that is just the start though, with a few more clicks you will be able to drill down into full details, statistics and history, with tables and graphs providing a complete and up to the minute picture of your account trading. ProLiquidity Ltd is registered in England Number 08567754 and with the Information Commissioner under the UK Data Protection Act, Number ZA296584. © 2014-2019 ProLiquidity Ltd. All rights reserved. ProLiquidity Ltd is a wholly owned subsidiary of Oasis Capital Group Plc.